I’ll keep this one short, sweet and full of antioxidants. The list of skate obstacles that “separate the men from the boys” goes on and on. Stairs, rails, vert—all represent major stepping stones on the path to true skateboarding proficiency, but it’s the protean and treacherous bowl that makes even the most intrepid ripper think twice before dropping in. Early ’00s skate mags examined vert as if it were a dying art; while the list of vert practitioners may be perpetually dwindling, Tom Scharr skates hard enough for a dozen men and Tony Hawk doesn’t age. The Berrics played its part in dispelling this myth with its contest series In Transition, which provided a platform for the rebirth of all types of transition skating. Burnquist gave the vert ramp its due, Barletta went on a mini ramp mega rampage, and Daewon, well… Daewon did Daewon. Plenty of contestants in the three years of In Transition chose bowls as their weapon of choice, but the true ode to bowl skating came from Brazil’s high-flying daredevil, Pedro Barros. Seriously, who does any of that? What do you eat to fly that high? While I don’t purport to know the intricacies of Barros’ diet, Brazil is just one of the many South American countries that endorse the benefits of açaí (ah-sigh-EE) berries. 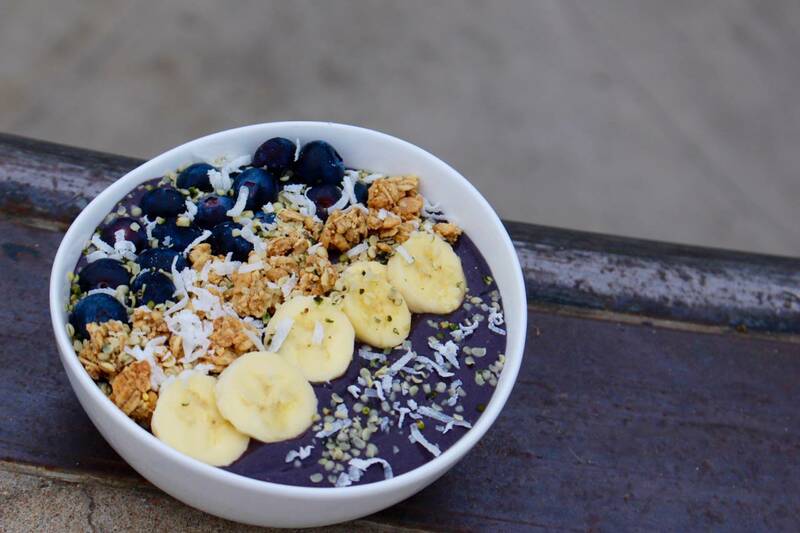 Look, I’ll level with you; when you hear the words “açaí bowl,” images of yoga pants and cliché Instagram photos come to mind, but would it change your mind if I told you that health conscious pros like Dave Bachinsky and Ryan Lay have espoused the benefits of açaí? 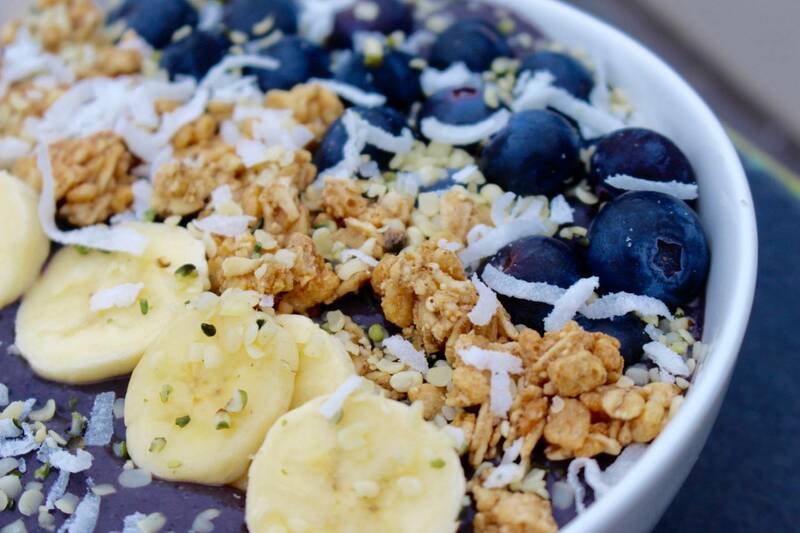 Not only has açaí been shown to help increase circulation and boost the immune system, but açaí berries have a higher antioxidant content than other superfoods like blueberries and raspberries. You may not be able to soar way above the coping like Barros, but at least your antioxidant levels will. Now, theoretically, you could just consume these berries in the form of a smoothie (açaí usually comes in frozen pre-blended packets), but if you really want to turn this treat into a meal fit for a champion, throw some of that açaí in a blender with some almond milk, peanut butter, and a banana, and then top it off with some granola, blueberries, hemp seeds and coconut. 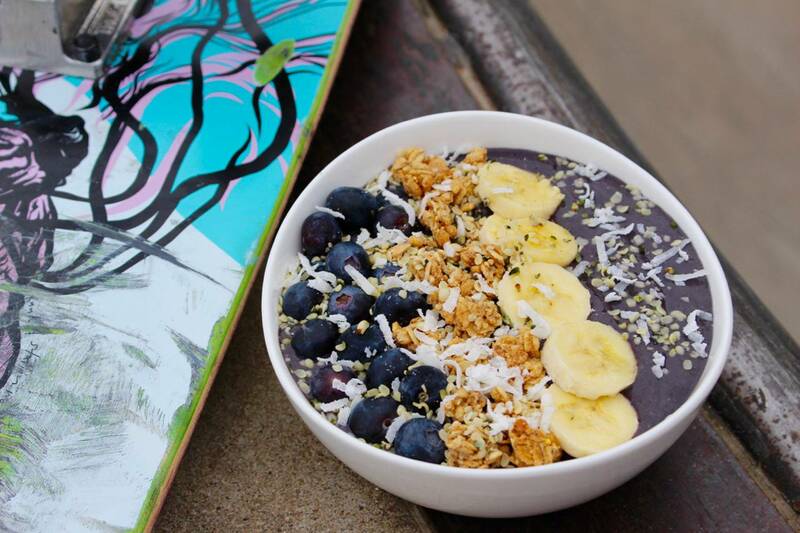 With all those superfoods, that’s a bowl anybody can shred. Grab an açaí packet and run it under some warm water for a minute or two to break it up some. 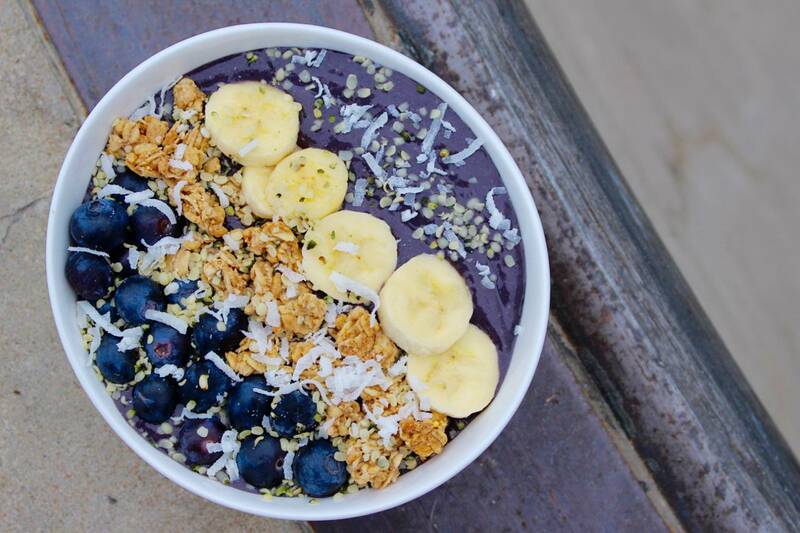 Blend up the acai, banana, frozen blueberries, almond milk and peanut butter until smooth and pour into a bowl. Throw the granola, fresh blueberries, hemp seeds, coconut and banana slices on top of the mixture; you can make it look pretty for Instagram or you can just toss it all on there and dig right in. Left foot. Right foot. Nollie. Fakie. Switch. Regular… it makes no difference to TJ Rogers. He’ll get you coming and going.